If your an avid reader of my blog then you probably know by now that i love the perfumes DKNY "Be Delicious" and Marc Jacobs "Daisy". I suppose that you could call these my "signature scents". A lot of people ask me to recommend perfumes to them but realistically i can't because everyone if different and you have to experience some things for yourself to ensure your making the right decision for you. Scent is a very personal thing and perfume suprisingly has a lot to do with your life. Perfume has the ability to bring back memories in one spray about times in your life when you have worn it so it is important to find a rememberable scent that you love. With all of the options out there today it can be so confusing! Especially when you think you have found your favourite perfume then you realise there are special release ones that all smell slightly different. There are a five tips i have that helped me when i was on the search for my signature scent and they may help you as well! Tip 1. Don't let YouTube guru's, blogs, friends or family influence you. At the end of the day, you have to wear it so it's you who has to like it. Don't get caught up in a review a guru does on it or a recommendation from your sister, scents are so personal that taste dramatically varies from person to person so there is a high possibility that what someone else likes, you won't. Tip 2. 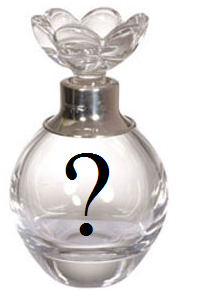 Don't buy a perfume based on the way the bottle looks or it's popularity. When someone smells your perfume they have no idea what the bottle it came in looks like and all they know is how it smells. So make the scent of the perfume your top priority and the way the bottle looks at the bottom of the list. If you find a scent you love but hate the packaging, there are plenty of easy and inexpensive ways to transfer the scent to other jars! Tip 3. Don't let people persuade you to chose one. Your choice has to be based solely on your opinions so if a shop assistant offers their help, it's probably best you do it on your own and don't have them trying to sell you the whole shop while your there. Also, don't let online fragrance quizzes determine what your scent should be like. These online tests will not only not help but probably confuse you even more. Tip 4. Test out the perfume a couple of times. Once you think you have found your dream scent, ask for a sample (they usually have one) or spray it on in the shop a couple of times. This will give you insight as to how the scent will react to your skin, how long it lasts and if it changes smell during the day. Tip 5. Never stop looking for your signature scent. Just like fashion, scents change as well. Switch up your perfume when you are bored or for the season. Don't feel like your obligated to only use that one perfume your whole life because you found one your really love! Keep looking for new and better scents that you love even more or for different occasions. I hope this potentially helps you find your "signature scent". Good luck!